Do you have a drink which you take each day? Although there’re a lot of drinks such as coffee, tea and green tea, the reason why cocoa is recommended for your health can be considered. It is because cocoa has efficacy to losing weight and maintaining your health, with a glance, which doesn’t link to a diet causing of sweetness and higher calorie. This ingredient has a plenty of dietary fiber, which is good for constipation, and protect you from a steep increase of the blood sugar. It also contains of much cacao polyphenol, enhancing metabolism to prevent aging, and minerals. 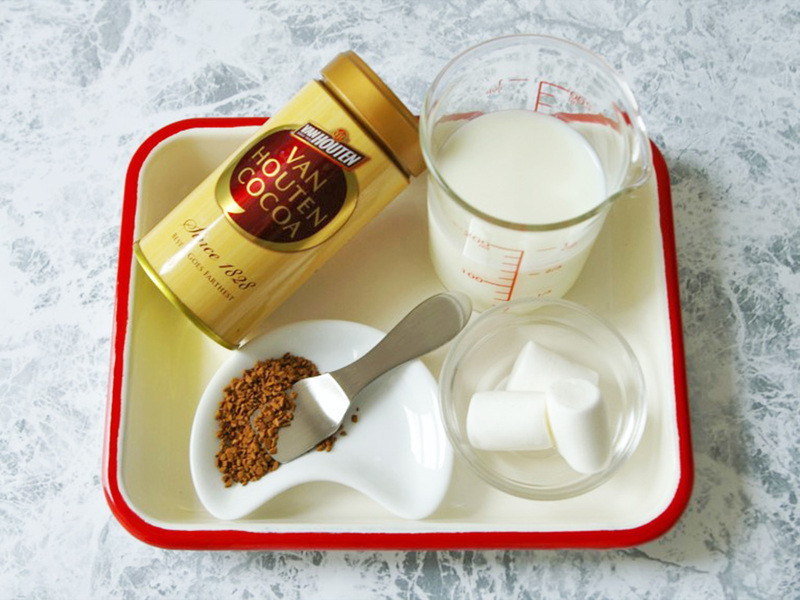 Generally, the bitterness of cocoa, theobromin, helps you relieve stress. Cocoa tastes slightly bitter and sweet and makes you more comfortable. I’d like you to drink it everyday to expect the effects to health, getting slim and beauty. 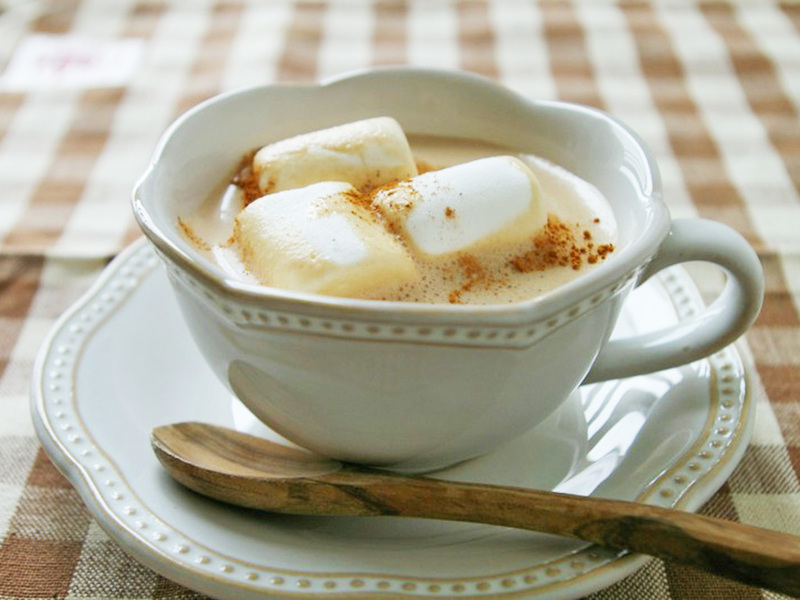 At this time, it’ll introduce the recipe of ‘Cinnamon Cocoa ~cappuccino style with marshmallows~’ that is easy to cook with the microwave. 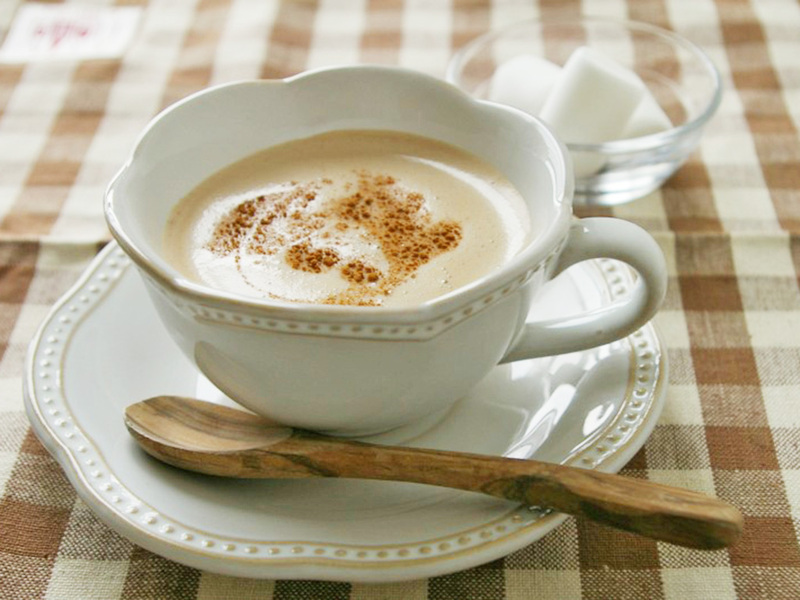 The surplus of cinnamon would be convenient to make drink and confectionery, making cinnamon sugar with mixing sugar. The proper rate of this is between 1g (half of a teaspoon) of cinnamon and 14g (a tablespoon) of sugar, and it goes well with apples, oranges and red wines. Additionally, as for cinnamon sticks can be used until smell fades away. After using it, you wash it well with water, then dry it with a paper towel thoroughly. If its scent is lost, you can use it as powder. Why don’t you give it a go for your health and beauty? Make a healthy boxed lunch and try dieting! Now showing! ‘Deadpool’ is recording the highest domestic box office which exceeded 711 million yen for only 5 days Such Ungainly Posture of A Kitten Came to My home A Week Ago! The slim USB drive which is compatible with iPhone is released by SanDisk at last!! Popular Japanese snacks best 10! The laser mouse which mitigates a burden to your wrist by human engineering is introduced by Sanwa Supply What an astonishing statue! The Golden Saint Aldebaran Statue, 210m height, is completed for ‘Saint Seiya 30th Anniversary Exhibition’ Let’s take a memo everywhere you want by “Phree”!